Now is the time for all you Do-It-Yourselfers to SHINE! We love watching everyone’s DIY gifts on pinterest and wanted to share some of our faves….and offer some holiday gift suggestions that won’t break the bank or fill the landfills. To Enter: Post your picture on our facebook wall OR email them to us at info@weangreen.com to post for you. 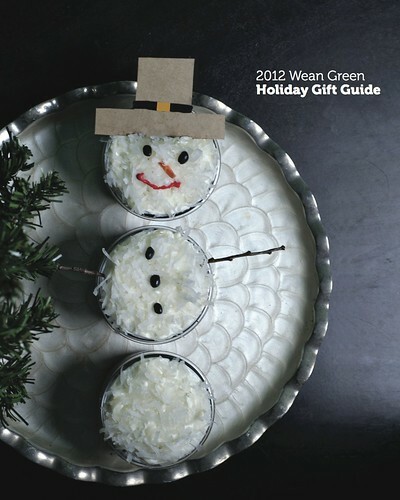 We will be pinning these on pinterest as well under our DIY Holiday Gifts board! Submissions with Wean Green in the picture will be given double entries!! If you need some ideas don’t forget to flip through our gift guide above! Winners will be drawn randomly on midnight December 15, 2012. Prize: The winner will receive $50 gift certificate for Babybot and a set of Wean Green! This entry was written by Melissa, posted on December 1, 2012 at 8:32 pm, filed under Wean Green Contests and tagged DIY gifts, holiday gift guide, holiday presents, Wean Green. Bookmark the permalink. Follow any comments here with the RSS feed for this post. Both comments and trackbacks are currently closed.